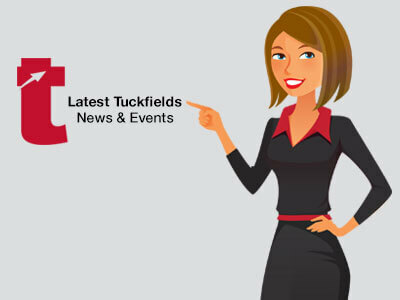 This week Tuckfields has guest blogger, Managing Director of Dressed for Sale Australia, Tiffany Murray! 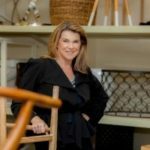 She has graciously written the following article regarding the importance of styling your property for sale, and why it has such a massive impact. The evolution of the internet and digital marketing has changed the way that we sell, buy and present our property to the market. Some people confuse interior decorating with styling a property for sale and consequently resist the advice of a styling professional. However, we are not here to critique a client’s personal taste, but offer our advice as to what sells and what will get you the best price for your property. The reality is that once you decide to sell your property the only thought that should be going through your mind is ‘What can I do to get the best return on my investment?’. Owners will need to detach from their personal tastes and preferences to allow the property to appeal to a broader spectrum of buyers. When your property is styled professionally, you will attract a flow of buyer interest and 90% of homes that have been styled sell within a 2 week period, and in many cases at a better price. We often find vendors that have lived in their home for a period of time accumulate a number of personal trinkets and memorabilia and it can be hard to see why some of this would need to be removed or de-cluttered. However, this type of visual clutter is distracting and detracts from the main focus which should be your home. Many people cannot see how big rooms are when there is too much furniture in a space or if the furniture is making the room darker. As a styling company, we work through this and advise vendors what will make the room look its best in terms of size and presentation. Styling certainly is an expense worth spending, a study published by NAOR, Washington (Jan 2015) recorded that styling can increase the value of the property between 5 – 10% making your outlay on styling and fixing up the property completely returnable. It’s simple when answering the question of the importance of styling - the answer is, it’s not negotiable! For a free consultation please call Dressed For Sale on 8333 3443, or via email at info@dressedforsale.com.au. Dressed for Sale – Dedicated to Selling Your Home Faster.